Dr. Bisignano is passionate about seeing marriages thrive. What she has experienced is that when couples have been married for many years or even decades, they can drift. Life can be full with raising children, family responsibilities, and careers. Often the “drifting” occurs subtly with little notice, until one day it becomes obvious. When you find your marriage in this dilemma, what can be done or how can you prevent this from happening? That’s where Dr. Bisignano can help. What she does is help marriages get back on track, renegotiate marriage if needed, and create new goals and dreams together. She does this by building on strengths, a shared history, healthy dynamics, and a new-created vision for the future together. Many couples do seminars, weekend retreats and take marriage classes. These can be beneficial, but what Dr. Bisignano does is different. She meets with individual couples in her Palos Verdes office. She begins by meeting with couples once a month for 3 months to talk and establish goals, track for the future, and get guidance in creating new meaning in their relationship. You will meet for approximately 90 minutes. After 3 months, you meet every other month for approximately 2-4 months. This approach is built on the assumption that you and your spouse love each other and committed and yet, need to reestablish yourselves as a couple, building on strengths and creating new dreams for the future. Sometimes this involves “renegotiating marriage.” Think for example of a husband and wife who have been married for twenty-five years and their youngest child is now going off to college. Mom has been busy at home raising her children with many volunteer duties and dad has been immersed in his career. The two have slowly grown apart and are now looking at their relationship and wondering, “What is next for us?” Mom may want to go back to work. Dad may want to cut back in his work schedule. Perhaps love needs to be rekindled. Many scenarios can exist. Whatever your case may be, there is hope in getting your marriage back on track. This can actually be a very exciting time. Most couples when they meet fall in love, get married, have a honeymoon and begin life together. Over the years, however, if the couple drifts they may need guidance from a trained professional in being intentional about creating new dreams for the second part of their marriage. If this sounds like something that could be of benefit to you and you would like to find out more, please contact Dr. Bisignano at her Palos Verdes office today for a complimentary 15-minute phone consultation at (424) 206-9055. 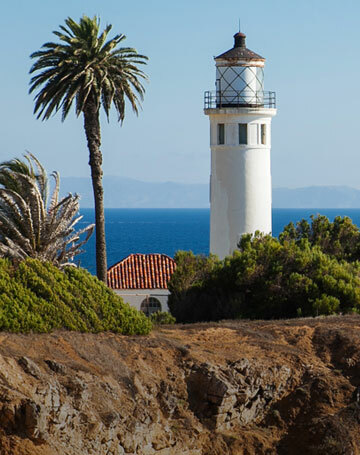 If you are flying into Palos Verdes from another part of the country, please inquire on the resource page for places to stay. This could be a great time to visit some of the most beautiful coastline in the world, while at the same time enriching your marriage.